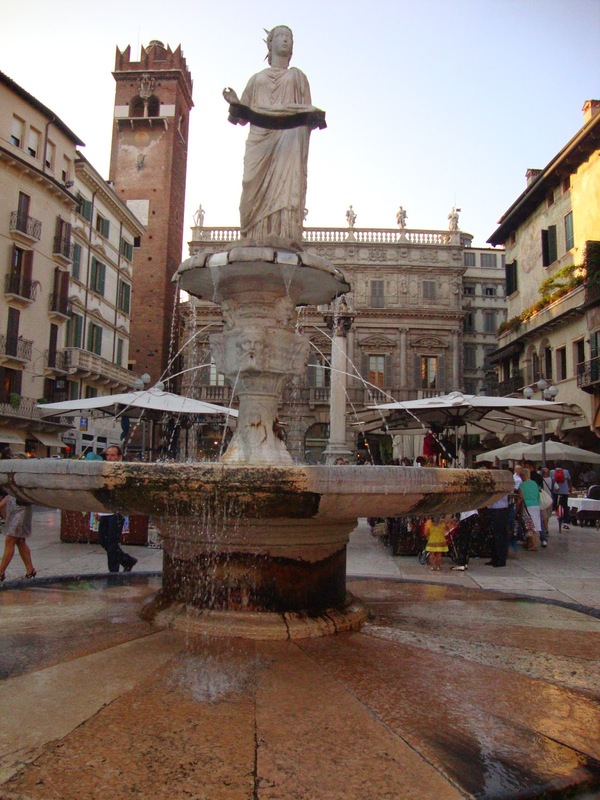 I went to Verona two years ago and I only stayed there for two days but If you have the possibility I advise you to stay more than two days beacuse there are a lot of things to do and see. 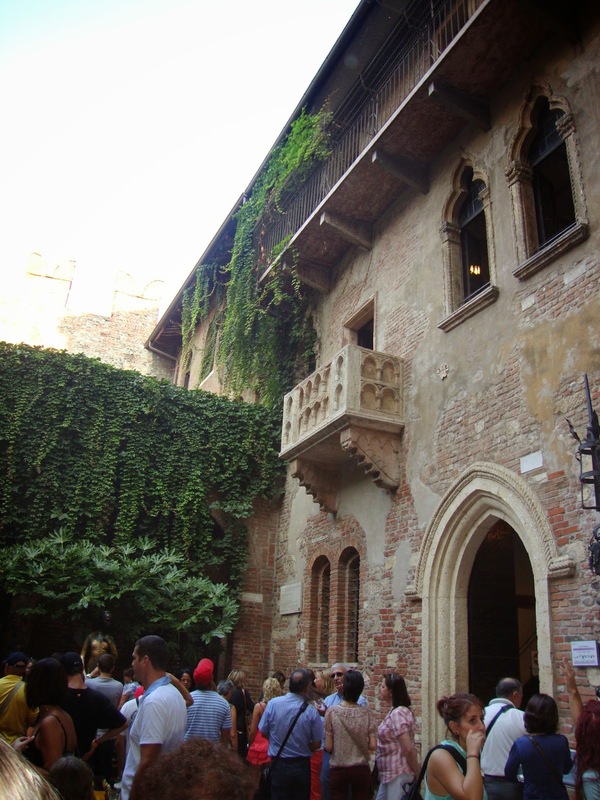 Surely you know Verona because it is here that William Shakespeare set the famous tragedy “Romeo and Juliet” and it’s still possibile to visit Juliet’s house and grave. 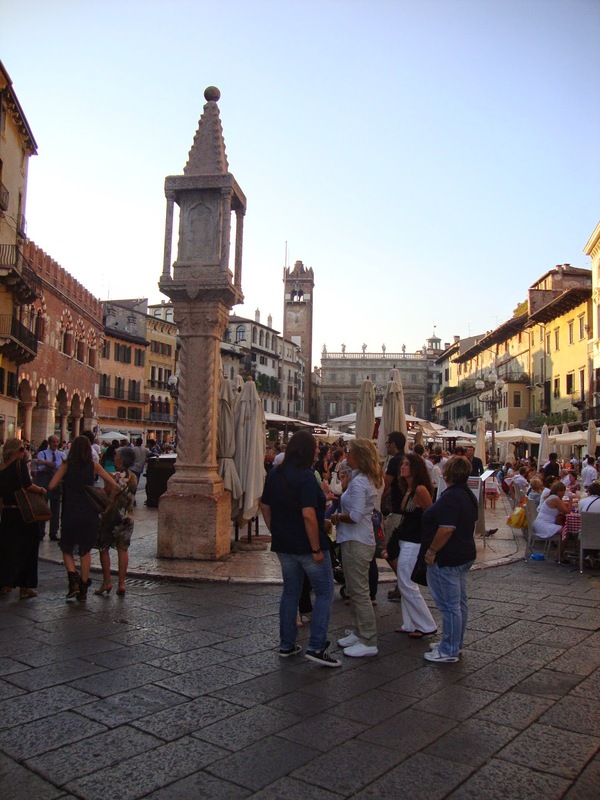 If you arrive at Verona’s central station the city centre is not far away and you can reach it on foot; all the major attraction can be reached on foot. 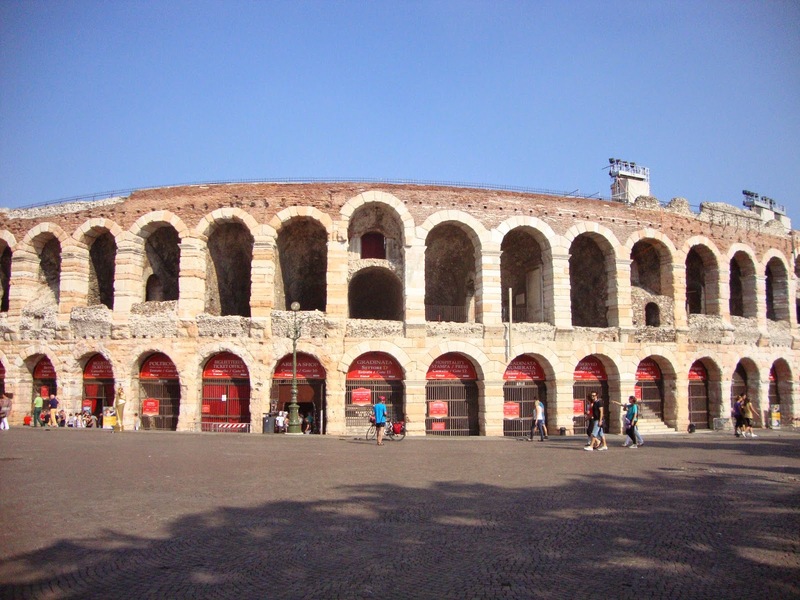 Verona was once a Roman colony and you can see its Roman past in a lot of places, starting from the famous “Arena”, symbol of the city together with the figure of Romeo and Juliet. It’s exactly from here that we will start our “visit”. 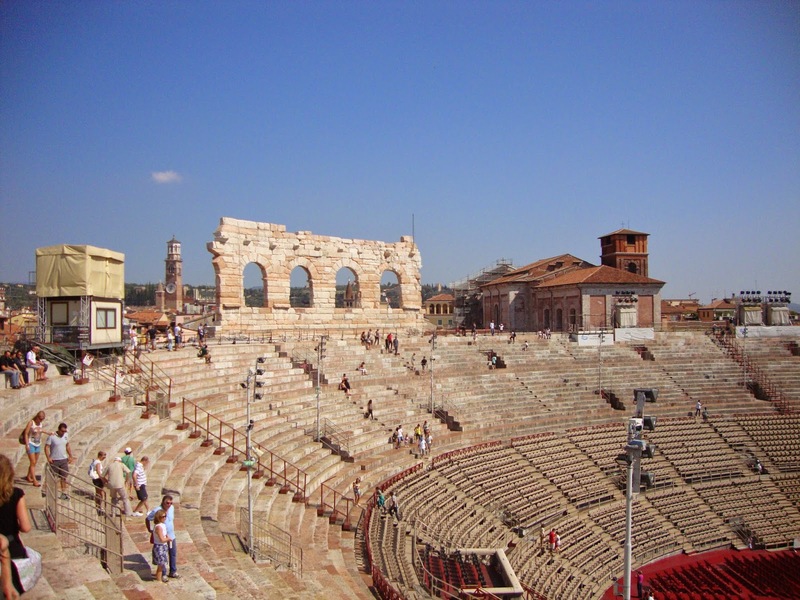 The Arena is a Roman amphitheater and was once used both for games and fights between gladiators. 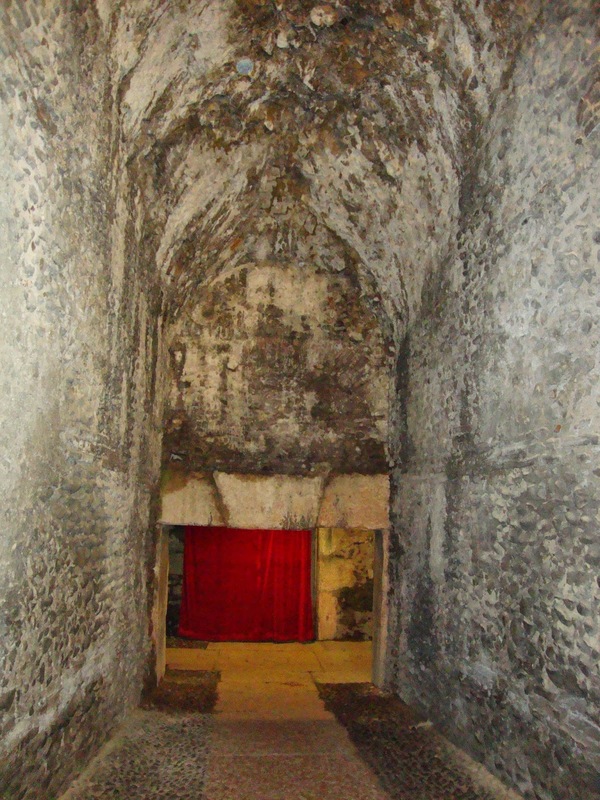 It is very well preserved and nowadays it is used for theatre performances. The lyric festival takes place here during Summer. It seems to be inside the Roman Colosseum if you go inside the Arena and walk through its tunnel! It’s so big and well constructed that you’ll surely be astonished about it. 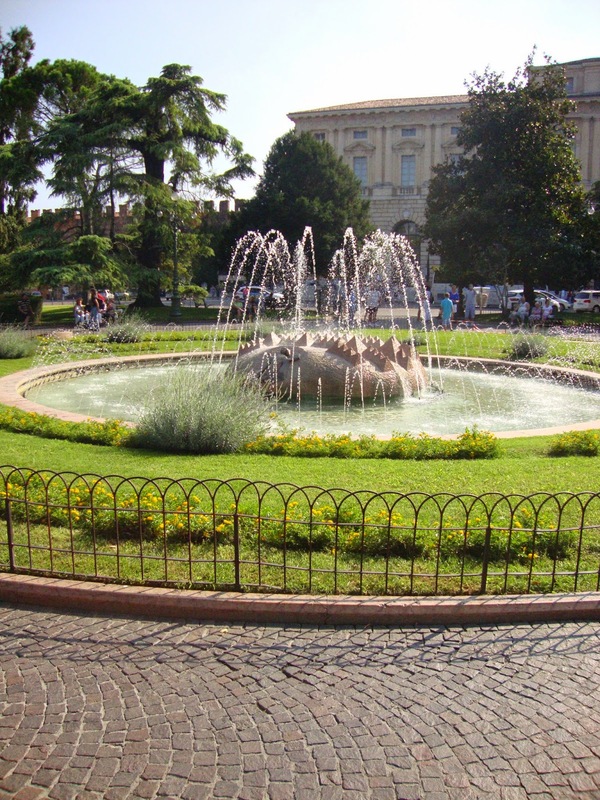 The Arena is located in Piazza Bra, a beautiful and large square with a very nice fountain in the middle of it, where you can have a walk or rest on a bench in the shade of the trees. From here, if you take Via Mazzini (an elegant street full of shops) you can reach Via Cappello and at n. 23, you’ll find Juliet’s house. 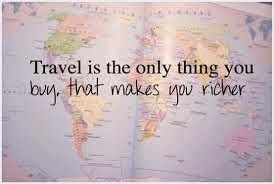 As soon as you’ll reach this place you realized that love is in the air ! 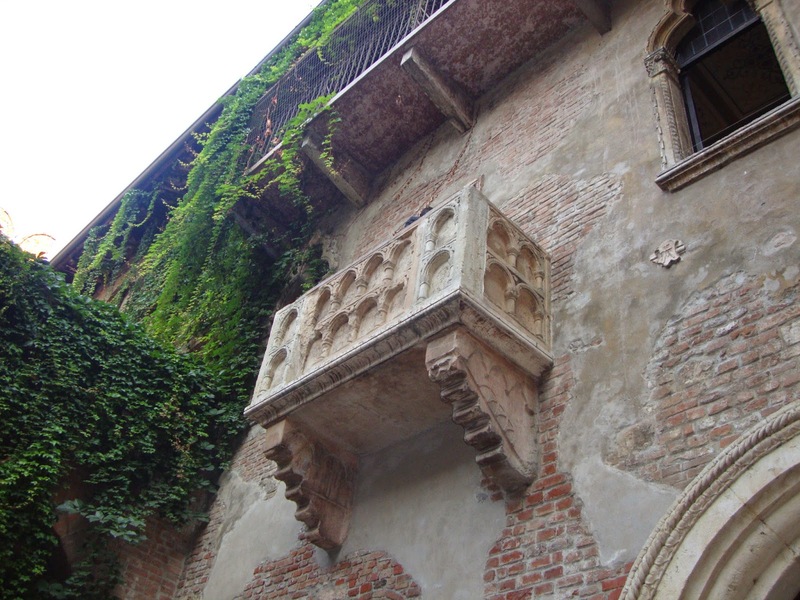 You’ll be moved to see how many people from all over the world go there just to see Juliet’s house and the famous balcony described by Shakespeare where she looked out to talk with Romeo. And at the entrance you will also see a wall full of love phrases and messages. 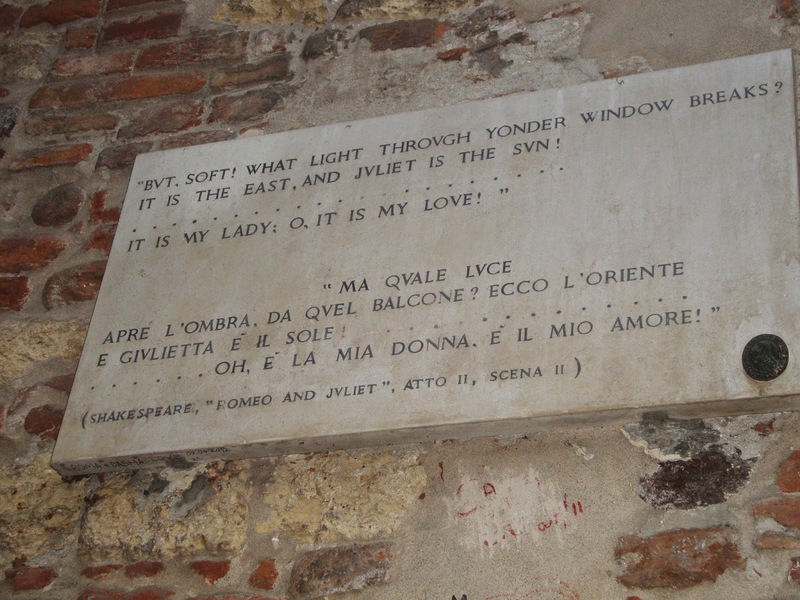 Did you know that a lot of people still write love letters to Juliet? 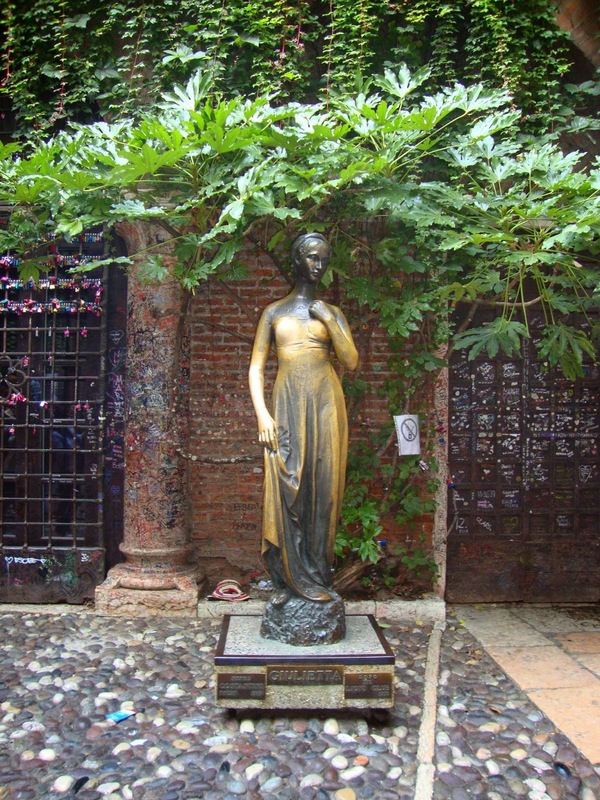 And that in Verona exists a club called “The Juliet Club” located at the same address of Juliet’s House? It is a volontary association where a group of women write back to all the letters wich arrive from every part of the world. Anyone who has a love problem writes to Juliet to ask for help or advice and Juliet’s secretaries read the letters, translate them and write back to all of them . 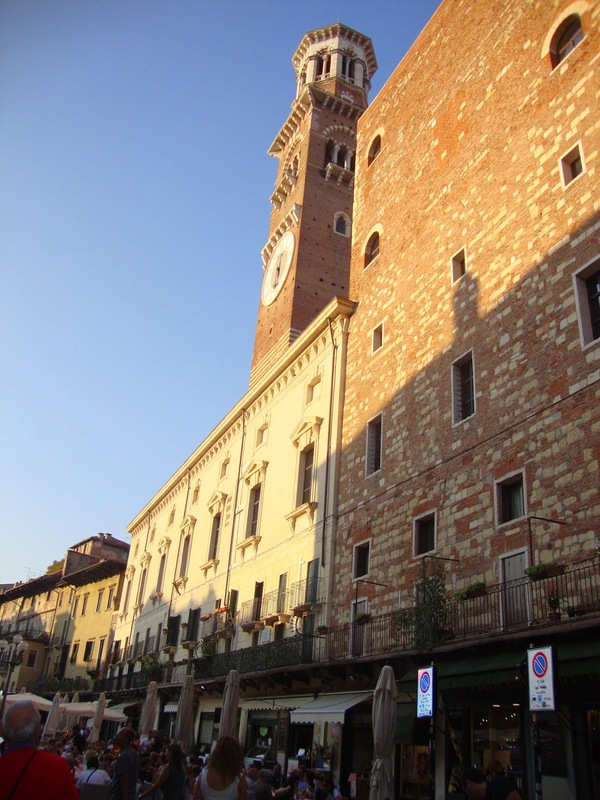 After a short walk you can reach Piazza delle Erbe, a big square sorrounded by many ancient buildings and houses and by “Torre dei Lamberti” . Here you can also see Dante’s statue. The stalls in the centre of the square are very nice and they sell local products and crafts. 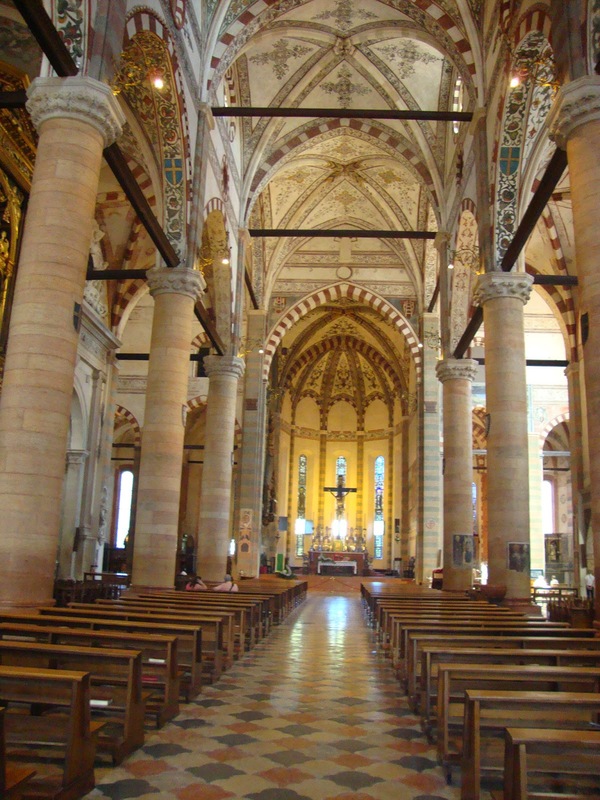 Two important and beautiful churches to see in Verona are “Chiesa Santa Anastasia” e “Basilica San Zeno”. 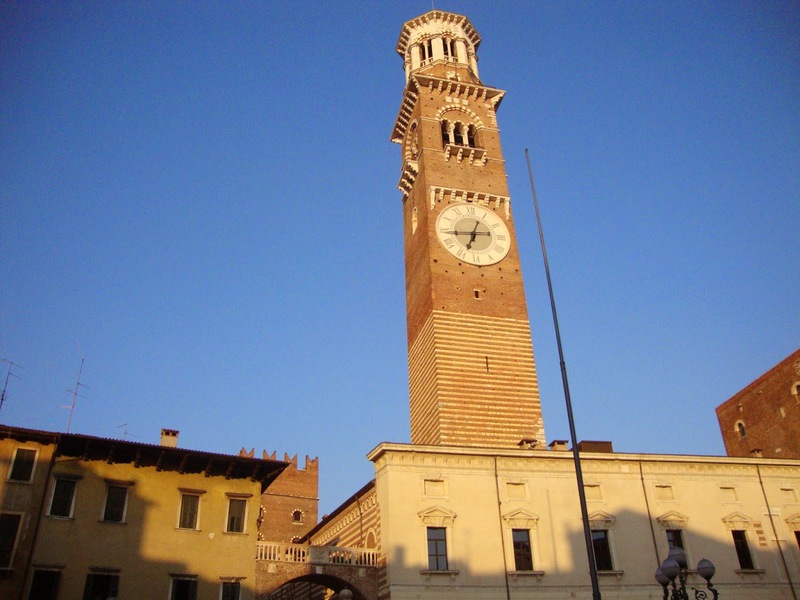 The first one, “Chiesa Santa Anastasia” is important because it is an example of the Italian Gothic style and because inside it you can admire the famous fresco by Pisanello “S. Giorgio e la Principessa” (S. George and the Princess). 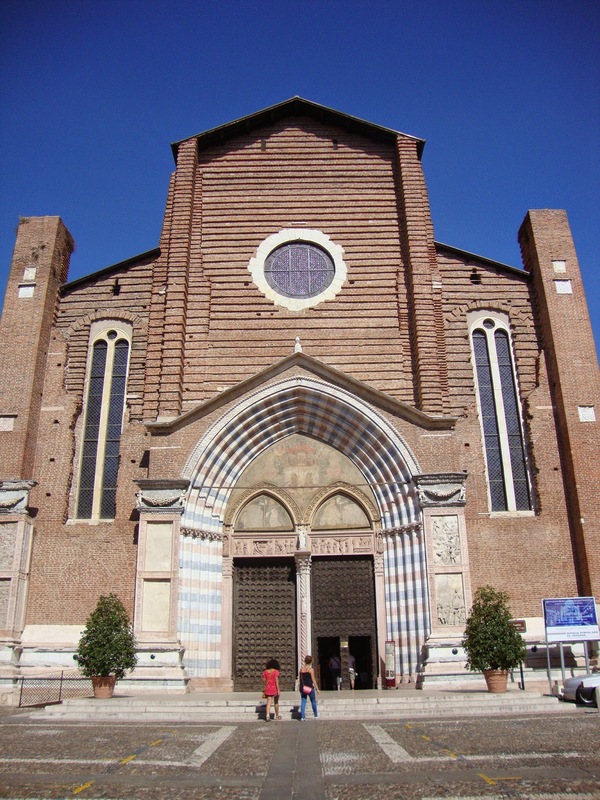 Basilica San Zeno is an example of the Romanesque style. 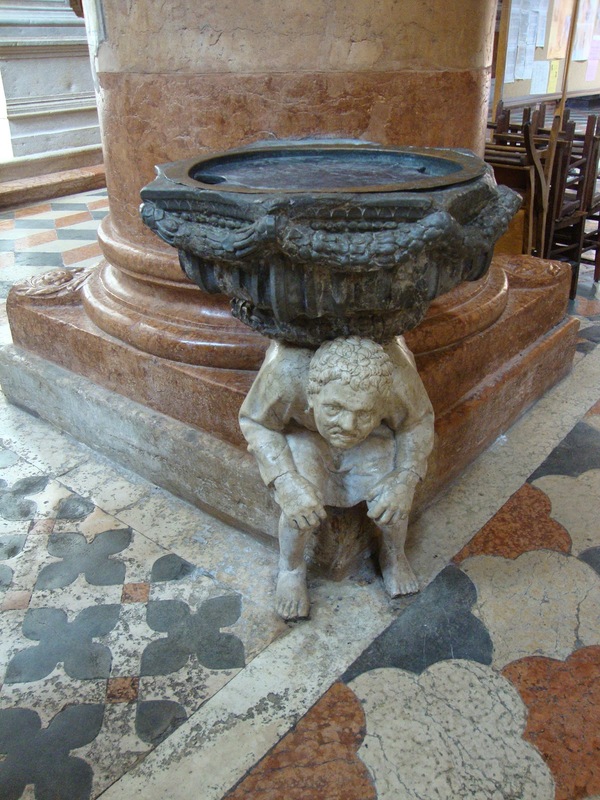 It is worth seeing the big rose window called “Ruota della Fortuna” at the centre of the tuff facade and the masterpiece of the Renaissance painter Andrea Mantegna “Pala di San Zeno” inside the church. 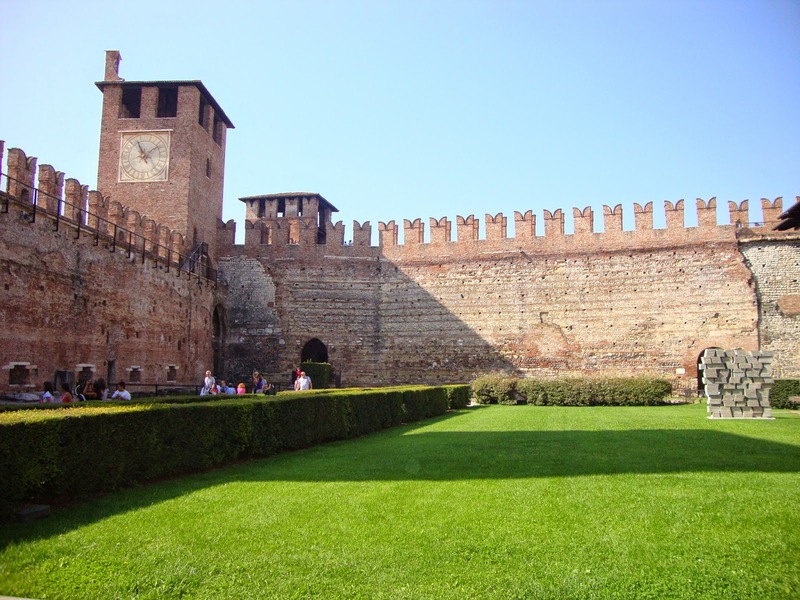 But a place I loved very much is “Castelvecchio”, an ancient residence built in 1354. I liked it so much because it’s a kind of castle, with medieval towers and walls but also for its position. 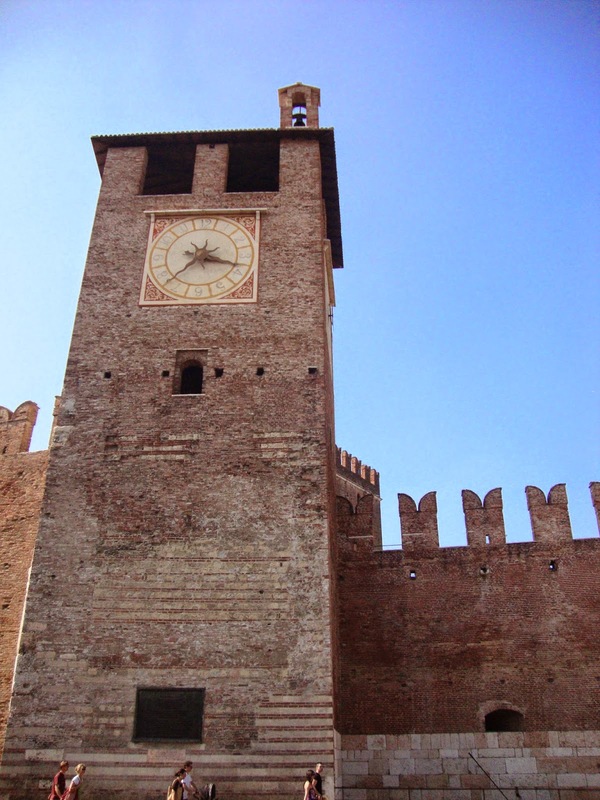 It is situated near the river Adige and from there you can cross a medieval bridge and have a beautiful walk with a view on the city and the river. If you want to write a letter to Juliet in Italian, you can use an informal language because you’ll write about your feelings and emotions, as if you were writing to a friend. 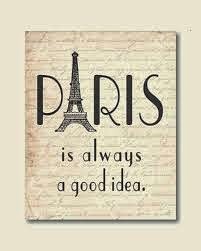 Usually, we put the date and the place from where we are writing top right on the letter. You can start your letter with “cara” (“dear” in english) if you are addressing a woman, “caro” if the addressee is a man, “carissima – carissimo” (using superlative), “cari …” if you are writing to two people. You’ll write this form of address top left, then we put a comma and the we start a new paragraph. You’ll write an introduction using this expressions: “ho saputo dell’esistenza di questo club da …” “I come to know the existence of your club from” or “Amo la tua storia e ti ammiro molto” “I love your story and I admire you very much” . Following you’ll write the body of the letter where you’ll talk about your problem and you’ll explain the reason why you decided to write a letter. Then there will be a conclusion where you’ll greet the addressee of the letter using this phrases: “un caro saluto”, “tua Barby”, “con affetto”, “ti ringrazio per avermi ascoltato” (thank you for listening to me), “ a presto”, “un abbraccio”, “un bacio”. At the end you’ll put your signature. 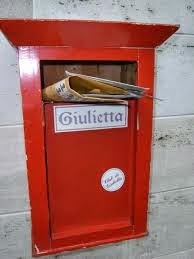 You'll find below an example of a love letter, from the movie "Letters to Juliet" . It is the answer Sofia - a secretary of Juliet's - wrote to a woman who sent her letter to Juliet many years before. If you have love problems and want to write to Juliet, visit the internet site of the Association www.julietclub.it where you can find its address and you can also write an e-mail and send it to Juliet!